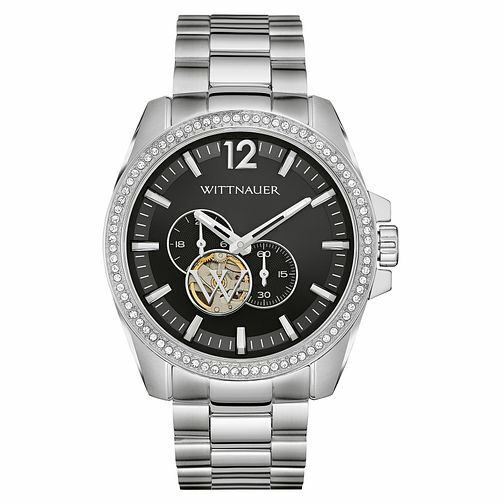 From Wittnauer's Lucas collection, this stainless steel piece features a skeleton dial aspect to its design as well as offering gleaming crystals around the bezel. This piece is of a classic style but with a modern twist, making it fantastic for every day but also extremely fashionable. This piece also has 50 meter water resistance.